One of the areas most prone to mold growth is the underside of roof sheathing. This is frequently due to poor ventilation of the attic space, poorly installed or insufficient insulation, water incursion from a roof or siding leak, or incorrect venting from bathrooms, clothes dryers or kitchens. Warm moist air from the house can leak into the attic space and cause condensation of water vapor on cold attic surfaces including roof rafters or trusses and roof sheathing. This can also lead to ice damming with resultant roof damage and water leaks. Specialized remediation methods have been developed with varying success to deal with removal of mold from the attic area. All of these techniques require the use of containment to prevent the spread of bioaerosols and particulates to other areas of the home. They also require the use of personal protective equipment (PPE) to protect the remediator. Depending on the size of the affected area and method employed, this equipment may include, at a minimum, an N95 respirator as well as eye, hand and clothing protection to prevent exposure to airborne contaminants. Mold can’t be removed completely until the moisture problem has been corrected. You can clean up the space so there are no visible traces of mold, but if the moisture problem continues, the mold will come back. 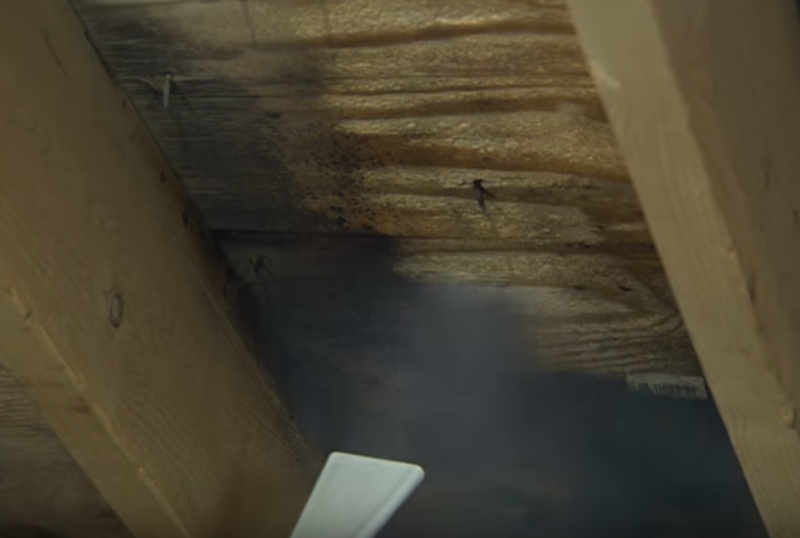 Any time you have mold growing under the attic sheathing, especially with a sloped attic space, it can be extremely difficult to clean due to the space limitations. There are the temperature extremes to deal with in the attic (hot in summer, cold in the winter), plus the other challenges of working in an unfinished space. For finished attics, the challenges may include difficulty finding the cause of the mold issue or tracking down hidden mold living behind drywall and insulation. These are reasons why mold in attic removal is best left to the professionals at C&R Home Improvements, Inc. When the roof leak has been fixed or the ventilation system repaired, the process of mold remediation can begin. If the attic space is used as storage, items need to be removed and all boxes and their contents inspected for mold. Discard any moldy boxes and have items affected by mold or items with that musty smell professionally cleaned. The area needs to be sealed off for cleaning. Cleaning may include disinfecting moldy areas, the running of dehumidifiers, and a thorough drying of the space to deter any further mold growth. 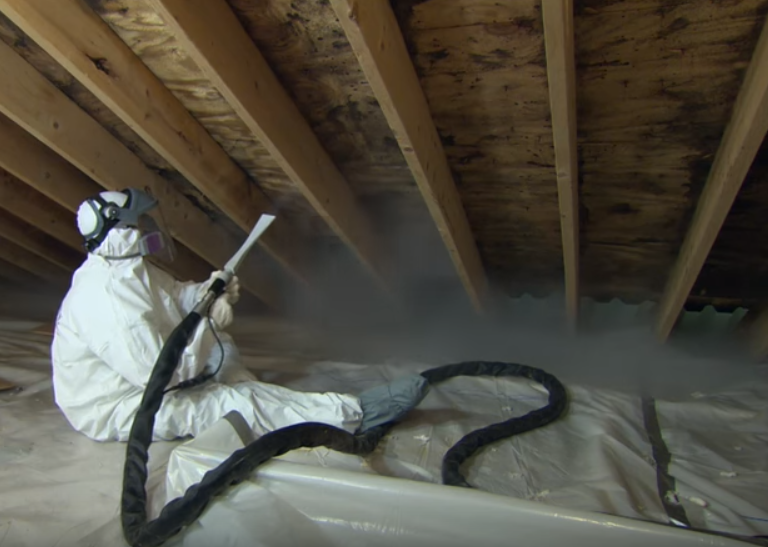 In some cases a mold-inhibiting solution may be sprayed onto attic sheathing to prohibit any additional mold development. 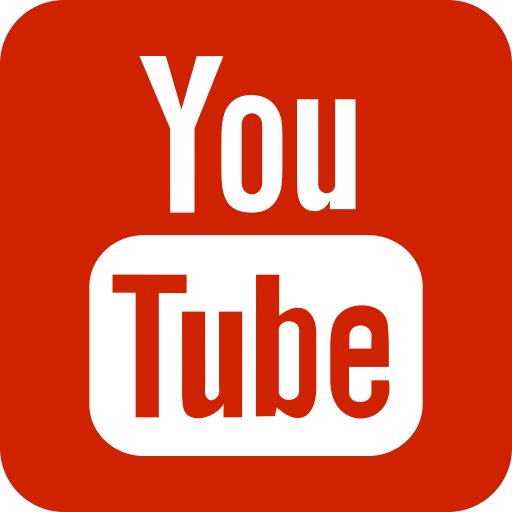 Before you attempt to take on attic mold, talk to the professionals at C&R Home Improvements, Inc. We can take a look at the situation and customize an attic mold remediation plan just for your home.